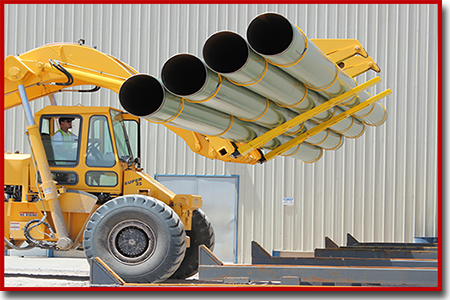 NOW there is a product on the market, guaranteed to protect delicate, Fusion Bonded Epoxy (FBE) coated pipe! 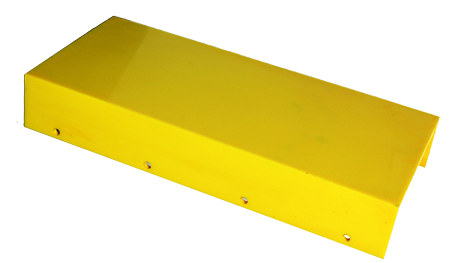 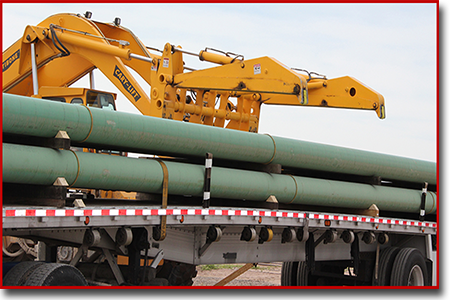 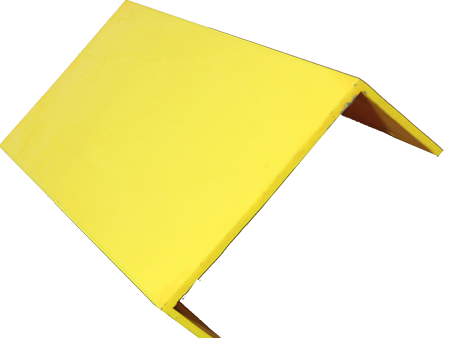 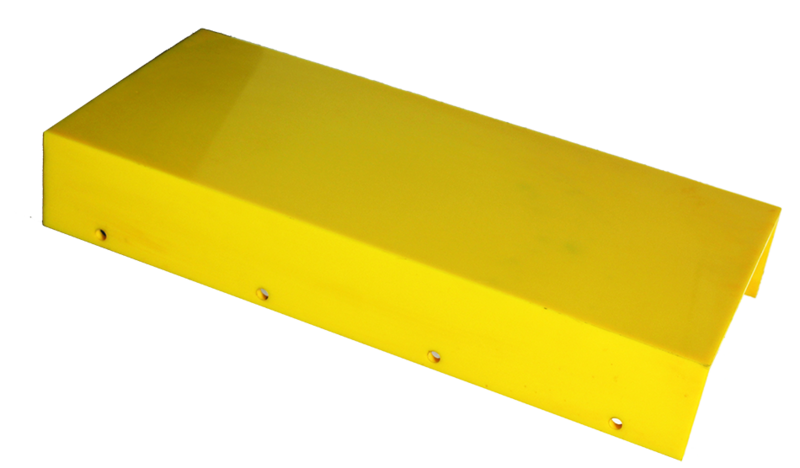 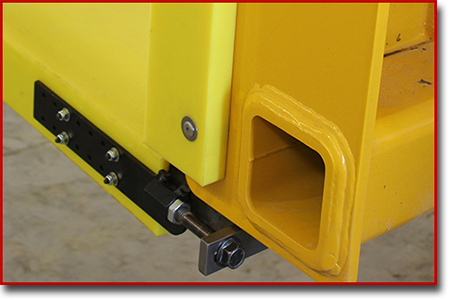 E-Z BOOT is a high quality, custom molded, urethane forklift fork sleeve, engineered to stand up against extreme abuse and environmental conditions. 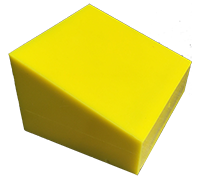 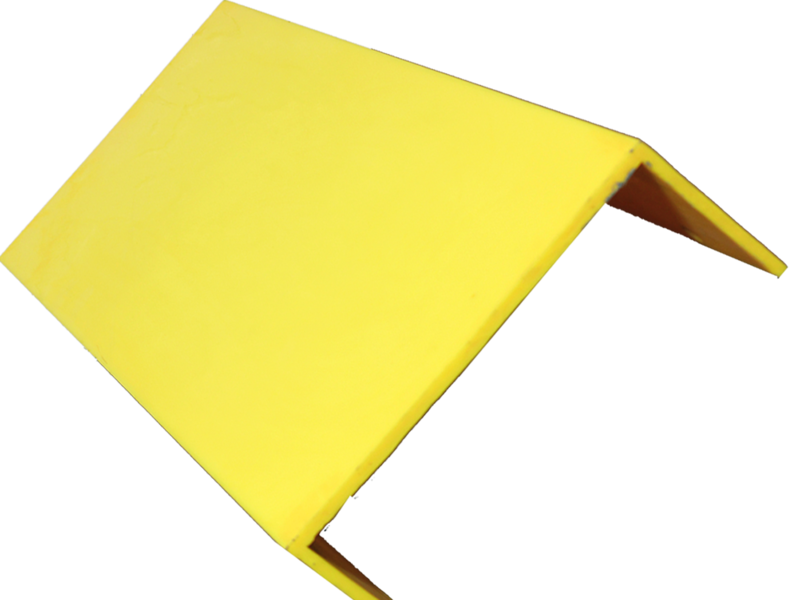 Unlike other types of fork protectors, E-Z BOOTS are manufactured using a special urethane formulation that offers outstanding abrasion resistance, chemical resistance and excellent memory rebound. 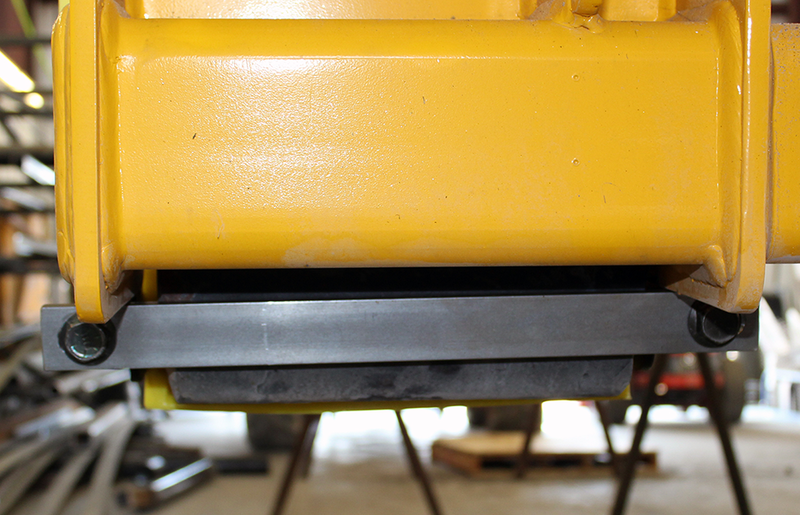 E-Z BOOTS will remain flexible, even in "SUB ZERO" temperatures without the threat of cracking or splitting. 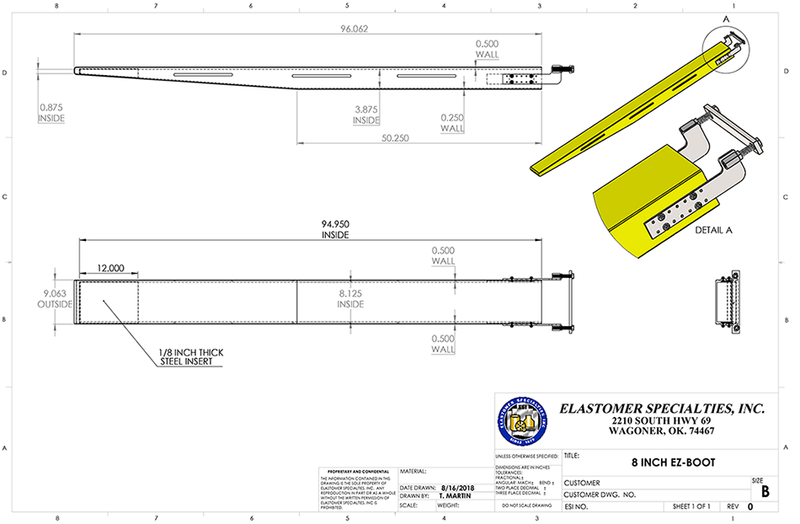 and dimensions: 8" x 96" and 12" x 96". 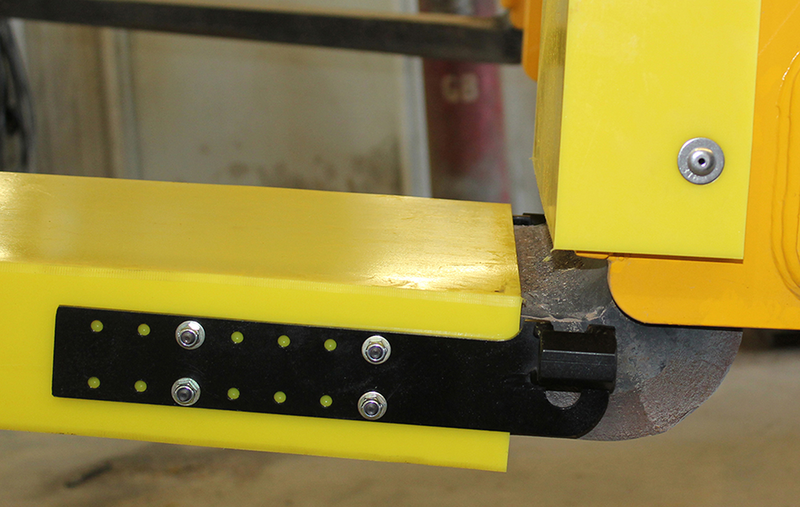 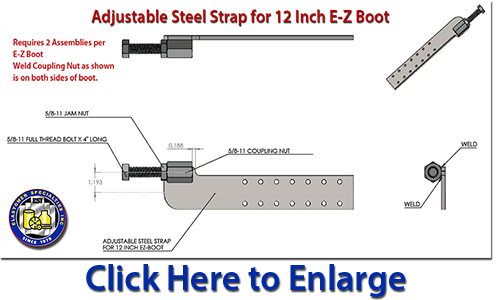 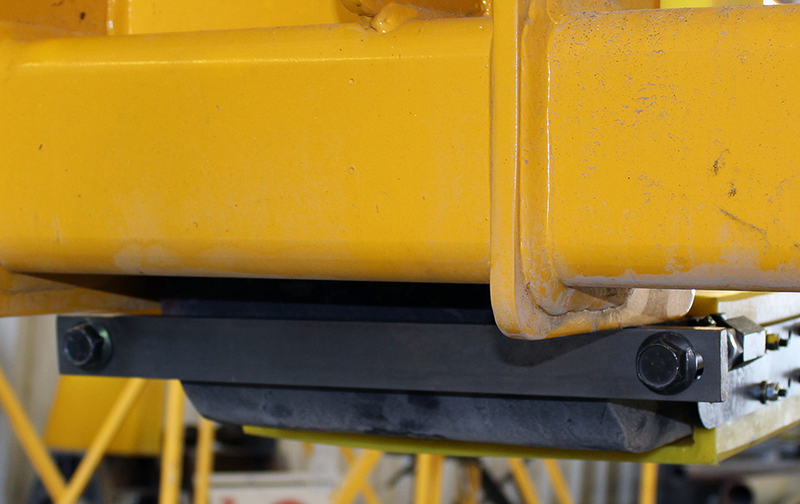 Now available on all E-Z Boot models is the "NEW" E-Z Latch bar assembly. 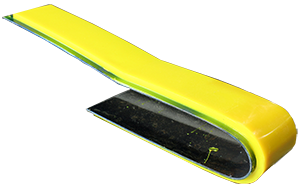 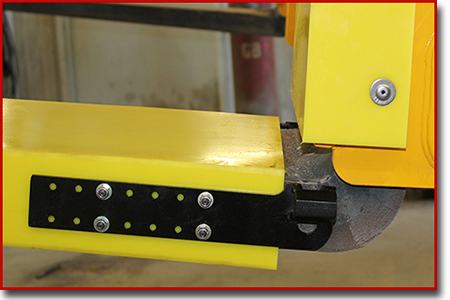 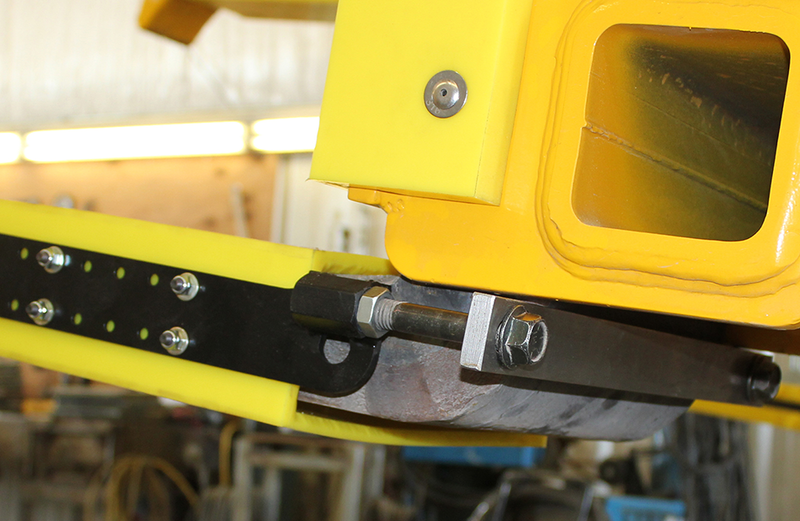 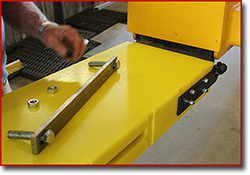 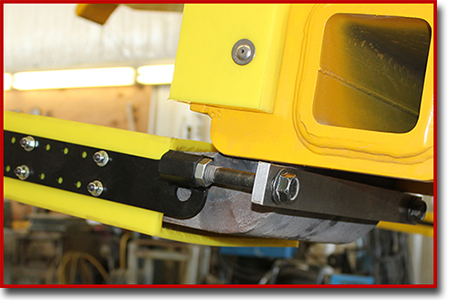 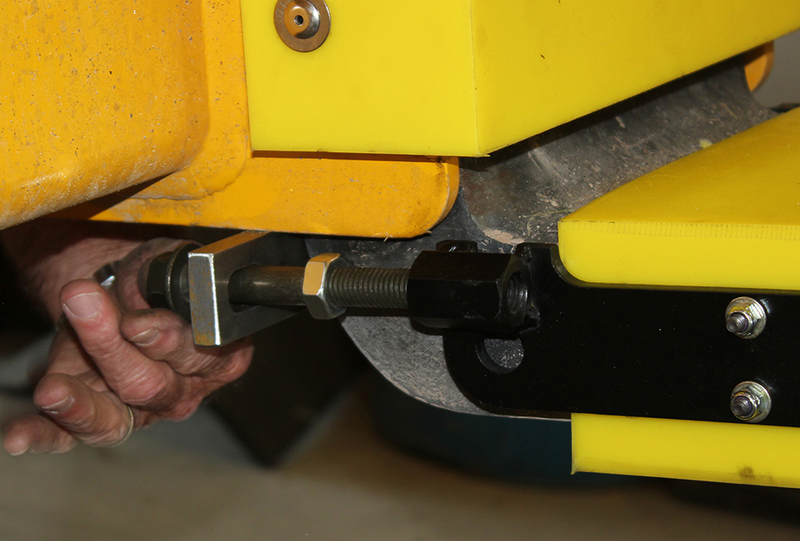 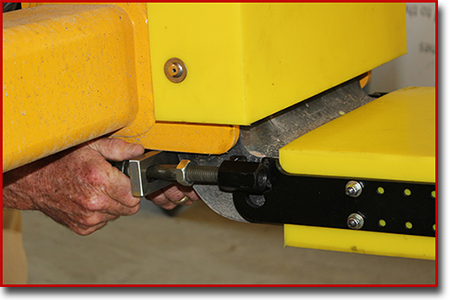 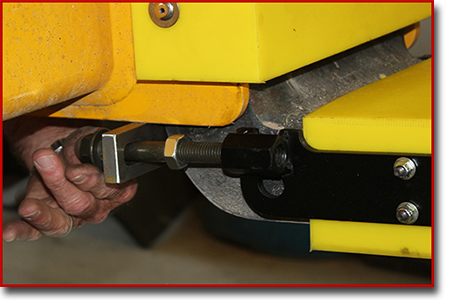 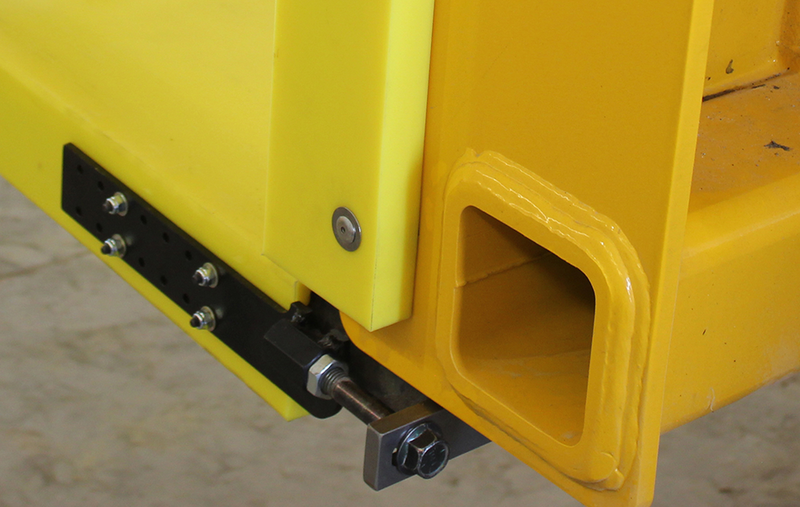 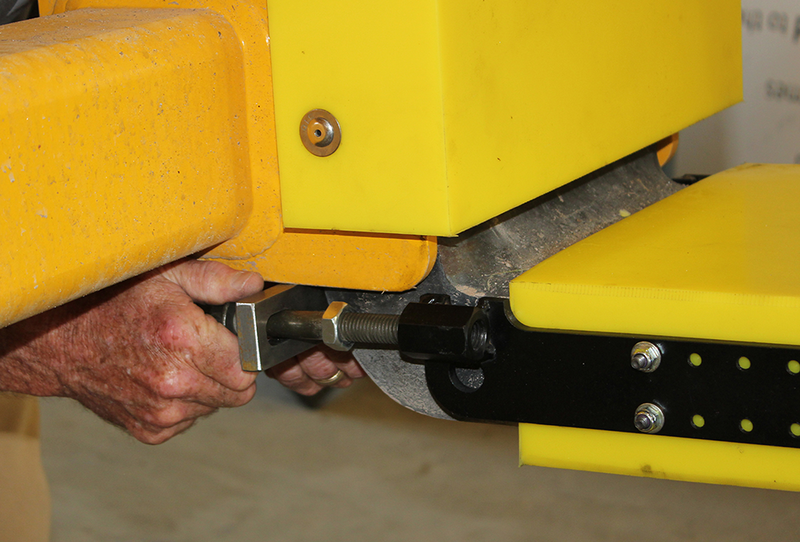 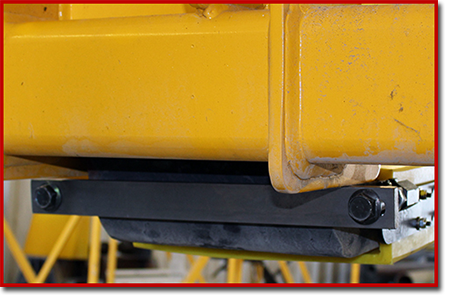 This system is designed to pull the urethane fork sleeve snug against the tip of the steel tine by tightening the bolt and nut on both sides of the back of the fork sleeve. 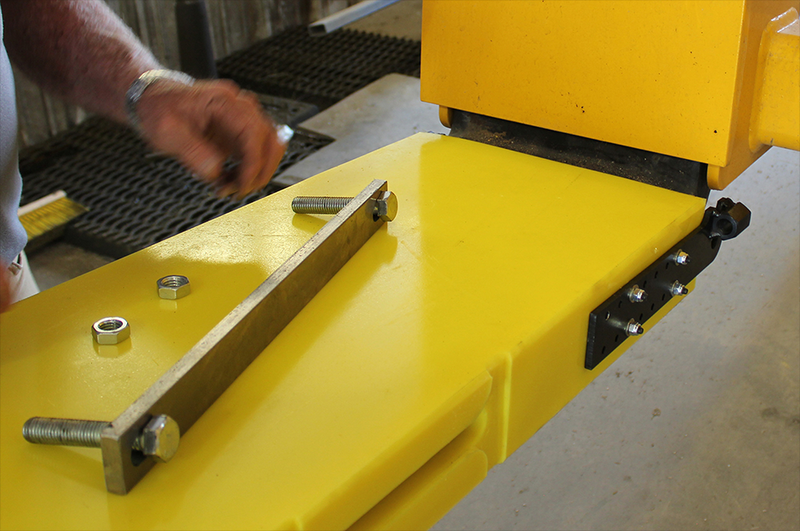 Once the boots are snug simply tighten the lock nut and they are ready for use. 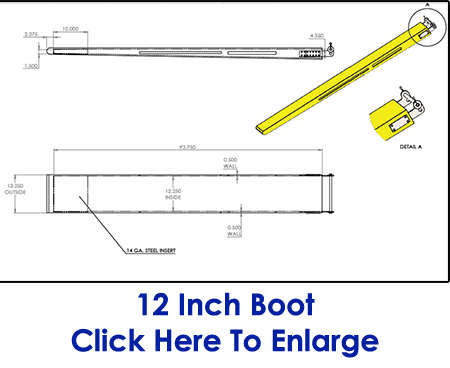 The 8" x 96" fork sleeve is ONLY available in a Drop Down Taper while the 12" x 96" comes ONLY in a Straight Graduated Taper. 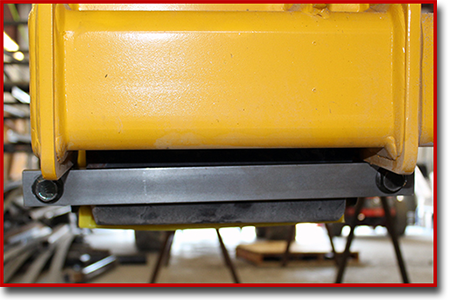 The 8" E-Z Boot sleeves will fit shorter 8" tines as long as the drop down dimensions from the tip of your fork is the same as our 8" E-Z Boot Sleeve. 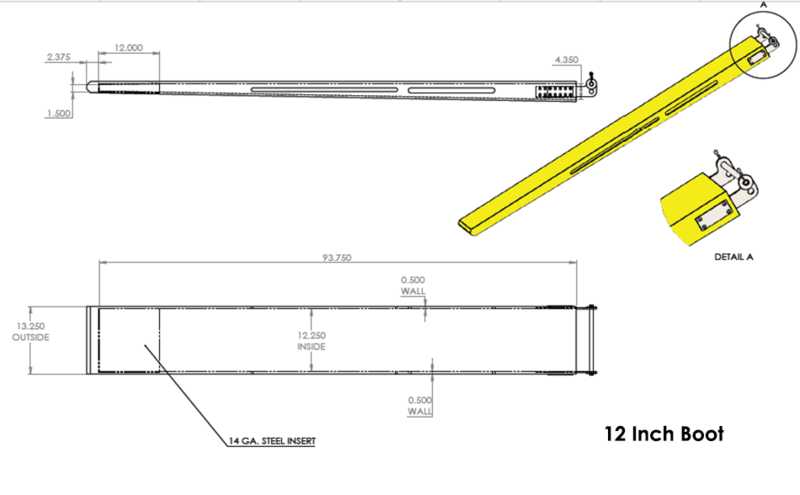 (See 8" drawing below.) 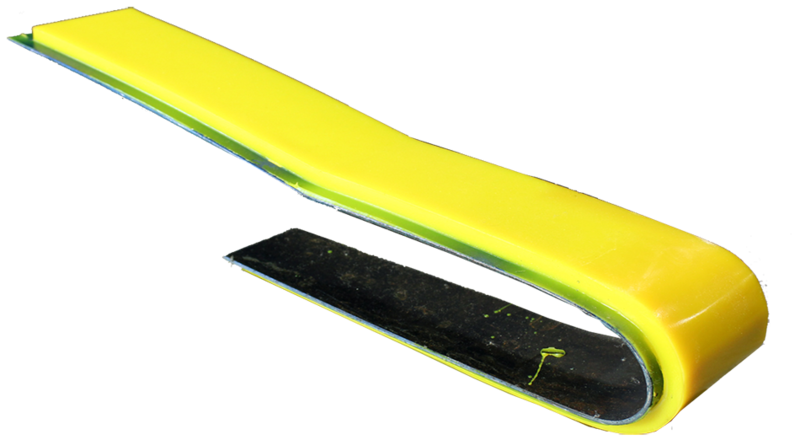 (Meaning: The tip to where the taper stops must be the same thickness as our 8" fork sleeve, regardless of the length.) 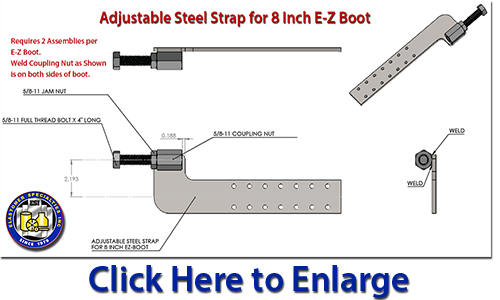 If your tine is shorter we can cut the E-Z Boot sleeve to length. 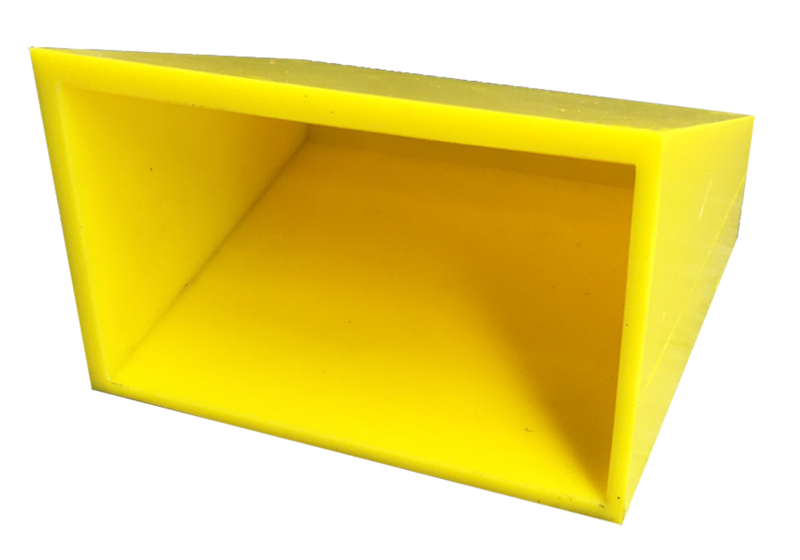 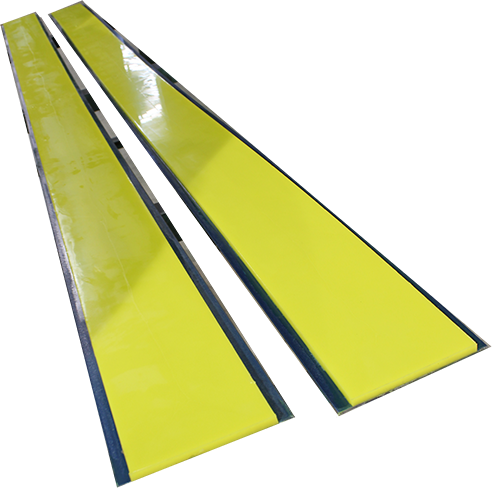 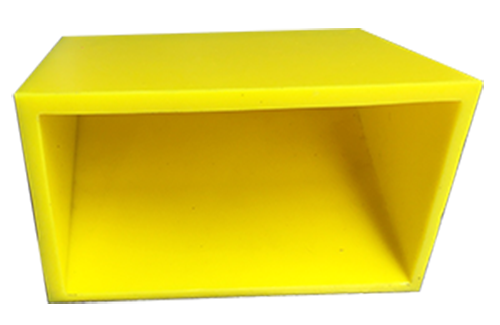 The inside dimensions of the 8" x 96" are 3-3/4" x 8-1/4" wide and taper down to 1" thick at the tip x 96". 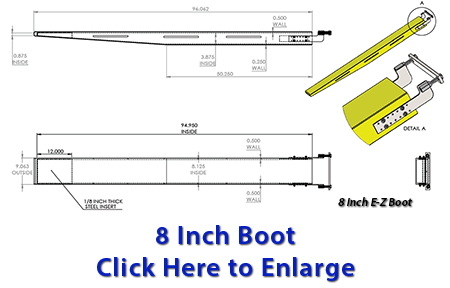 12" E-Z Boot sleeves are a graduated taper and as long as your fork tine is the same thickness from tip to the back of the fork, as in the 12" drawing below, then you should have a good fit.